God forbid the power should go out on earth and a hurricane should ever come this way, Lord! But I think differently than the way God thinks…I don’t always understand…can anybody help translate? In 1999, an NASA orbiter Beagle costing millions of dollars approached Mars…perhaps a bit too close…it crashed into the Martian surface after skimming too close to the atmosphere, which spelled doom for the spacecraft…teams of American and European scientists and engineers were greatly dismayed at the failed mission. The reason? There were teams of American and European scientists and engineers. One worked in the Metric System…the other worked in the English System, and never shall the two meet…inches don’t match with centimeters…at least they didn’t very much in the planning of this mission, and Beagle paid for it…it pays to speak the same language! Peter learns this the hard way, as he experiences one of the biggest “crash and burns” in the New Testament. Christ has raised him to an incredible dignity, gives him the keys to the Kingdom of Heaven, made him the rock of his Church. 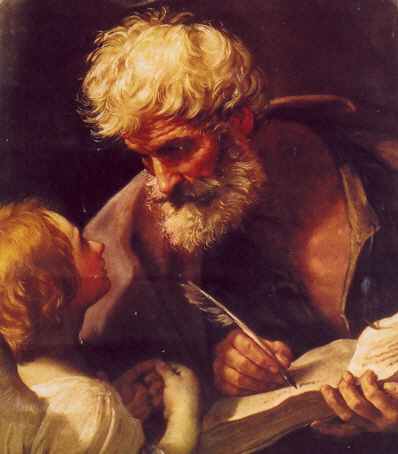 All from Peter’s cooperation with the Holy Spirit, allowing him to say, “You are the Christ, the Son of the Living God.” Now, however, after Jesus mentions suffering, dying, and rising, Peter lets go of cooperation and tries to attack things on his own terms – “Forbid it should ever happen, Lord!” Jesus’ reaction is anything but subtle…and so the man who is given the highest of praises is given the sternest of scolding, ‘Get behind me, Satan’!!! What provokes this scolding? A problem of communication…Americans using English, Europeans using metric…Jesus is thinking as God does, but Peter is thinking as human beings do…often-times two different languages, whose lack of communication can cause big problems!!! One knows and speaks of Galilee, the nature of fish, sailing…the other knows and speaks of the Universe, human nature, and the Cross…and once the Cross is mentioned, Peter shrinks away…why speak of such a thing? That means death, and that means an end to things…why speak of such things, Lord? Because, Peter – offering your life upon the cross will enable you to find life, true life, eternal life…but such language is hard to understand…we need a translator, we need an audio-visual, we need a dictionary to understand this language of God. I was actually thinking I would need a dictionary my first few months of study in Italy…but even then a dictionary wouldn’t be of much help, because the Italians are so very good at communicating with more than words…one hand gesture can express a whole paragraph of meaning…so the best way to learn Italian, was to live with the Italians, follow the culture, their mannerisms, imitate what they do, and then one begins to understand. Yes, words were important to learn…but, in conjunction with those words, and perhaps just as important, I needed to learn the unspoken language, how people communicated themselves in their facial expressions and their hand gestures. Peter is receiving important communication from our Lord. This communication that shows who this Christ really is, in ways beyond words. To receive beautiful words from our Lord in the words at Mass…the New Missal will make this very clear…However, some things are hard to find words for…Suffering, Dying, the Cross…instead of a bunch of explanatory words, an action is needed, in order to convey the depth of God’s love. How are we to understand this language of God? The same way in which Peter ultimately did... the only way to understand which Peter ultimately did…the only way to understand our Lord’s teaching involves following his Lord, denying himself, and offering himself completely, to the point of giving his life for the faith. Listening led to following, imitating the Lord’s example, as Peter was himself crucified, but upside-down, to reflect his imperfect imitation of Christ. He had to get behind and thus follow a lesson that transcended human language. For indeed, we live with the mystery of pain, suffering, evil, and sin, hurricanes and earthquakes, wars and turmoil…how does Christ show His response as Savior through all this? Instead of explaining (for the explanation would never suffice), our Lord instead points to something…his own suffering and death. Nothing could get in the way of this message, not even Peter’s attempted “assistance.” The goal of this message mattered too much, for it revealed the way to find eternal life. When difficulties come, when storms blow, when our mistakes weigh us down and the winds and rains of life almost blow us over, what helps us most? …words? No…we have something more…we have the Cross…find it, lean on it, hold it, grasp it, hang on to it…for then, we will understand what it means to really live.